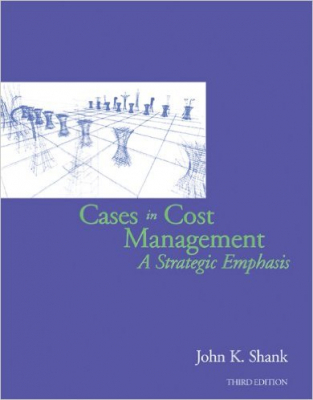 Cases In Cost Management - ubiq bookshop: the best place to buy books! Master managerial and cost accounting techniques with Cases in Cost Management. With cases that provide challenging and fun problems and help build skills, you will develop the ability to apply cost analysis to decision-making solutions. Based on real-life scenarios, the cases give you the opportunity to analyze the situation, decide which accounting concept is most appropriate, and apply the concept as the manager of a firm.